Recently I have been exploring the photographic works of non-Indian artist creating work in India. There is a vast terrain of photographic types being explored and I would like to share them with you here. This is a sampling and by no means a comprehensive list. Steve McCurry is probably the most well-known photographer in this post outside of photographic circles. He is an American photographer who works as a freelance journalist photographer, shooting for magazines and books. 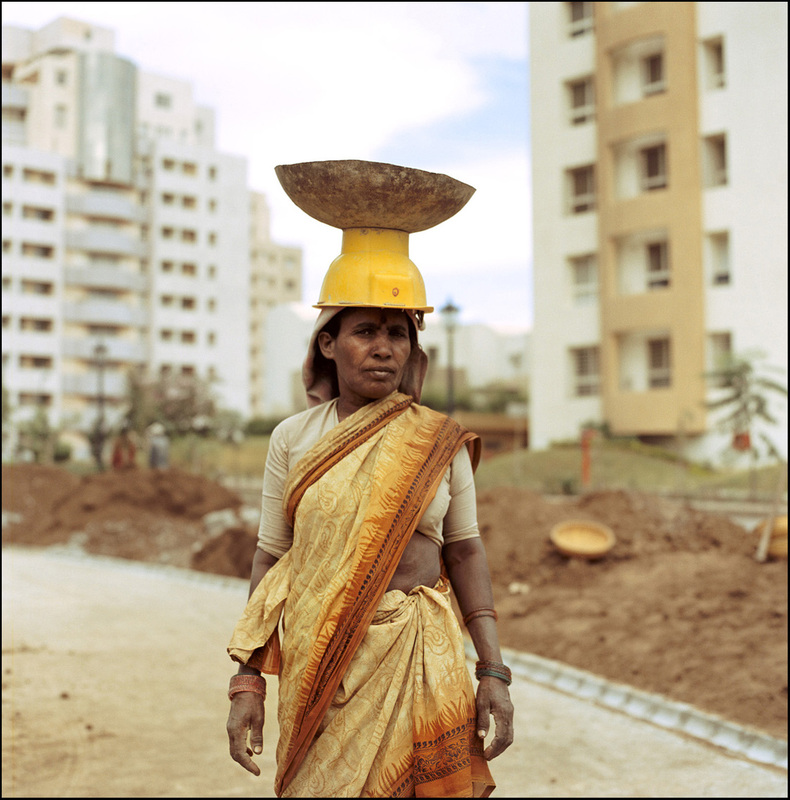 His photographs explore the people of India, showing them with all the color that surrounds them. Zachary Becker is an American born artist who currently lives in Delhi. 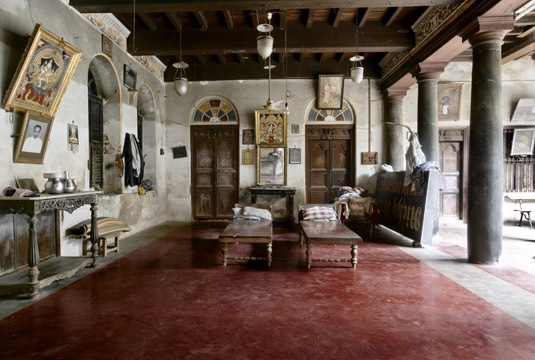 His work extends beyond photograph; however, he has a photographic project Recent Work, New Delhi, 2011-2012. 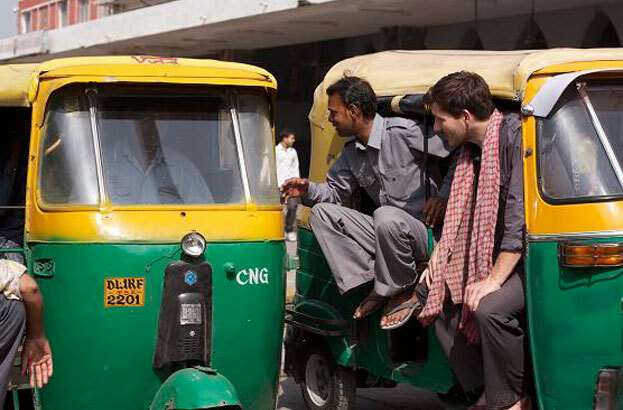 These photographs depict Becker in Indian clothing and performing different roles of lower income city dwellers. Becker takes a playful approach to explore a way of life different from the one he grew up in. Sebastian Cortes was born and raised in New York. Now he splits his time between Italy and India. He does both commercial work and fine art. He has two photographic bodies of work from India. One is a portrait of Pondicherry, Tamil Nadu a former French colonial town and the other is of the Gujarati town of Sidhpur. The Sidhpur photographs primary explore the interiors of specific homes but there a few outside photographs as well. Cortes’ photographs are beautifully composed and have a wonderful sense of color. The photographs explore the overlapping past and present that intrigues the mind. 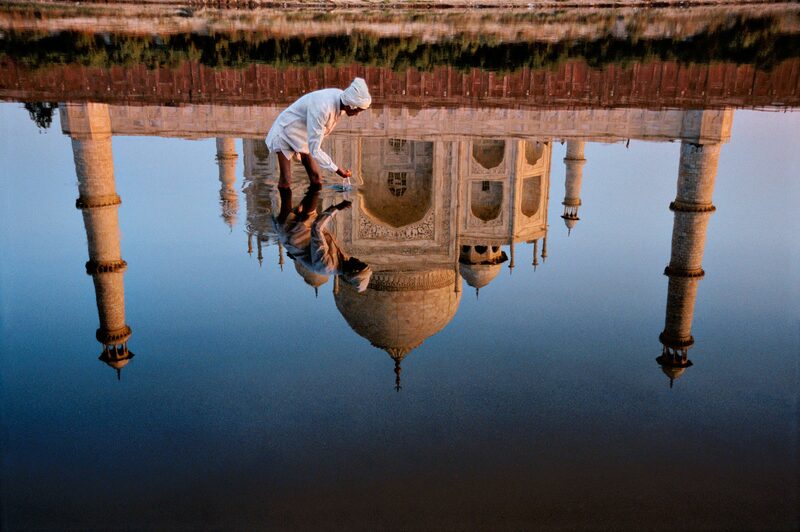 In 1999 Italian photographer Olivo Barbieri traveled to India to make photographs for his project Virtual Truths. 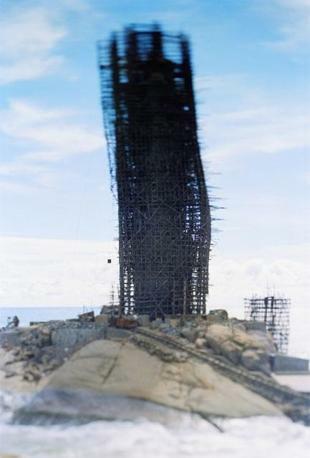 These photographs employ tilt shift and some are made from the air creating a world that is slightly askew. German artist Julia Knop created Electronics City between 1997 and 1998. This project explores the growing technology industry in Bangalore. 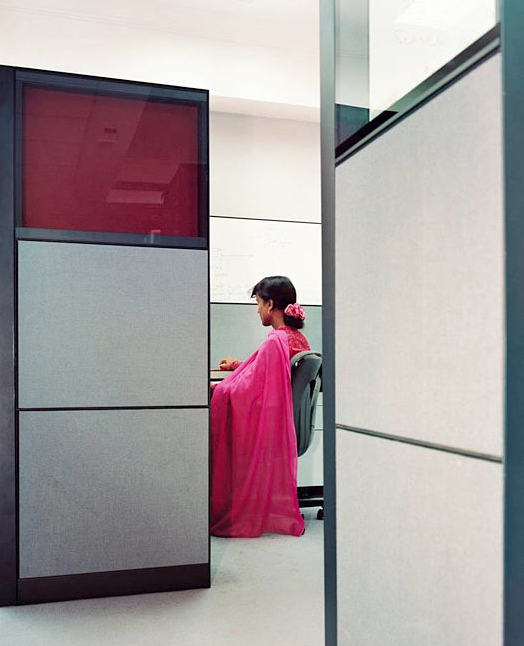 The photographs are portraits of people in their work environments, offices, cubicles and waiting rooms, as well as the exterior terrain that accompanies a western business model. Photographer Johann Rousselot lives and works in Paris, however, between 2004 and 2007 he work on a project in India titled India Shining, India Crying. The photographs focus on a growing upper middle class toting small dogs, cell phones and eating at McDonald’s while also exploring the tradition that is being displaced due to the suburbanization. Olivier Culmann Lives and works in Paris. He has multiple projects surrounding India. TV Viewers are portraits of people watching tv. My favorite project is a group of photographs he made of himself dressed up in varying Indian attire from religious to business and photographed himself in traditional studio’s with painted backdrops. 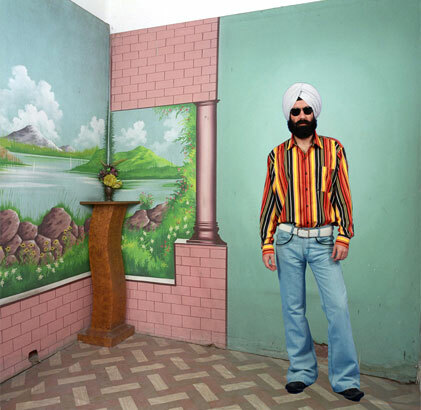 These photographs explore identity and the history of studio portraiture in India. 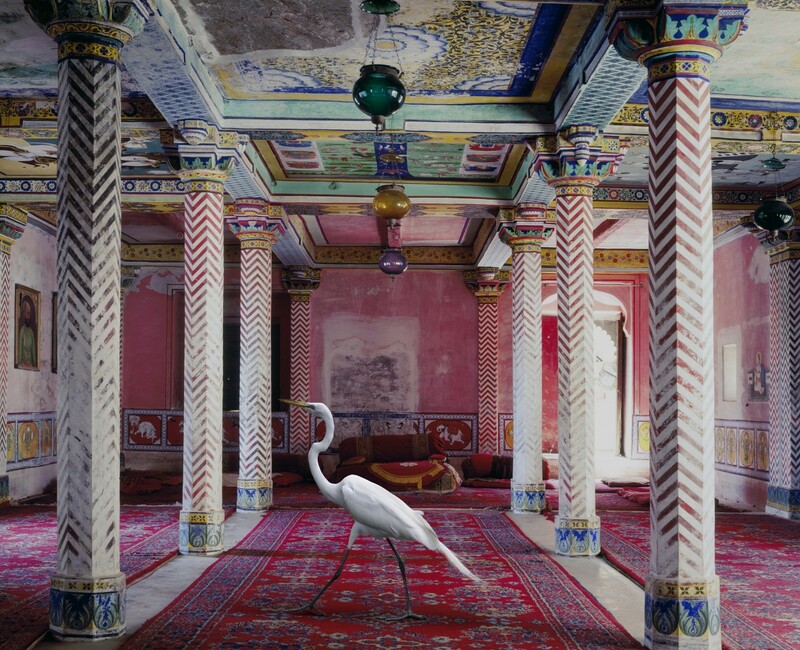 Lastly, the work of Karen Knorr is a must. Knorr is a London based artist born in Germany and raised in Porto Rico. In 2008 she traveled to Rajasthan and became enamored with the place. Her project India Song explore Rajput and Mughal heritage in the state of Rajasthan and then moves to other historical sites throughout India. The photographs also explore the cultural systems that have guided throughout the centuries focusing on masculinity and femininity and how they relate to the animal world.